100 Glenwood Dr W, Homewood, AL.| MLS# 841795 | Richard Jacks UABLIVING.com 205-910-2297 | Birmingham AL Real Estate | Contact us to request more information about our Homes for Sale in the Birmingham AL area. 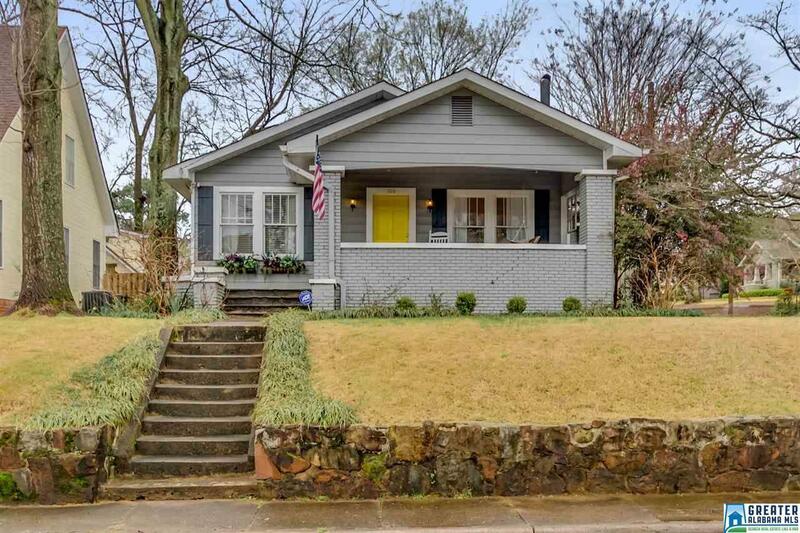 The Quintessential Edgewood Bungalow in the Heart of Homewood! Four Bedroom 2 Bath Charmer Offers a Picturesque Covered Front Porch with Finished Wood Floor and Brick Columns overlooking one of Homewood&apos;s Most Desirable Sidewalk Lined Streets and located directly across from the Community Center and Park!Large Open Floor Plan with Amazing Hardwood Floors.Large Updated Kitchen with Stainless Appliances and Abundance of Counter Space and Cabinetry,Beautiful Large Windows allow for so much Natural Light!Lovely Living Room greets all guests and boasts a gorgeous Brick Surround Gas Fireplace and Built-In Bookcases.A Main Level Laundry Room also offers a rear entrance and "Mud Room"assessable from the Rear Driveway!Private Master Suite with Updated Bath and 3 additional Bedrooms share an updated Guest Bath.Beautiful Backyard with "Park like" setting offers Large Deck overlooking Botanical Garden with Perennials including Hostas, Hydrangias and Roses.Walk to Library,Churches and Restaurants. Driving Directions: From Oxmoor Road, Pass Homewood Park On Your Right, Turn Left On W Glenwood Drive. The House Is The First On Your Right, On The Corner.